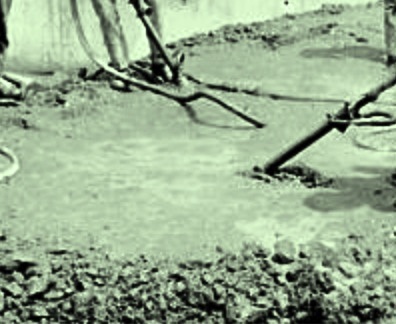 We have discussed in last post about basic idea of revibration of concrete. We have promised to solve some queries about this. Now we will try to find the answer of those queries. We will provide ACI code and ASTM specification for application of vibration for particular type in next posts. b. Concrete should have plasticity when vibration is applied. These two points defines whether revibration produces a fruitful result to improved concrete mass. We have learned in previous post that sometimes revibration cannot be avoided. These two points valid for both intentional application of revibration or vibration to successive layers having underlying layer that loose it plasticity i.e. hardened partially. -It can expel water that entrapped below reinforcing bars or aggregates. 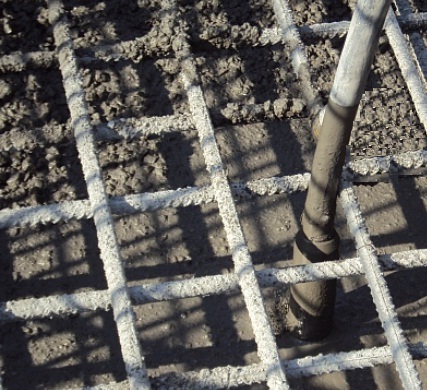 The resulting concrete have greater contact between aggregate and mortar or between reinforcing steel and mortar. Thus concrete becomes solid and watertight and strong. d. Expelled trapped water under horizontal steel reinforcement of concrete member and air as well; thus compacted solid concrete are produced with better bond strength. e. As bond strength is related to development length of reinforcing bar, this is also reduce reinforcing bar consumption. Dear reader development length may be for compression and tension and slight modification is done when hooked bars are used. The hook must be of ACI standard hook. f. Water pocket in the concrete also eliminated. Dear reader we have published several posts regarding development length and standard hook, for reference you can read these. We will finish the post here. In the next post we will learn about the periods within which revibration should be done.